Mediderm Instant Face Lift Concentrate Review: Is It Really Good? Mediderm Instant Face Lift Concentrate is an anti-aging product that claims to instantly tighten and lift your skin with herbal extracts and special compounds. This lifting and toning process is supposed to smooth away deep wrinkles and fine lines on the whole face, including the eyes. Mediderm is a beauty brand that was founded in 1999 by a retired physician to provide the latest technological advances in skin, body, and hair wellness. 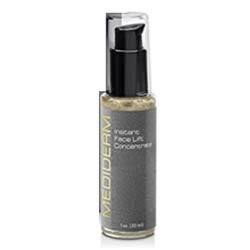 Mediderm Instant Face Lift Concentrate is currently sold for $19.97 on the manufacturer’s site. Mediderm offers a 30-day money back guarantee. Unfortunately, Mediderm does not provide an ingredient list for this product on its official website. The list below was obtained through outside sources. Apply a pea-sized amount to hands, rub together to warm cream, then using upward strokes, spread over face, neck, and décolleté daily. No documentation backing the company’s claims of this product’s effectiveness is readily supplied. Mediderm Instant Face Lift Concentrate has an official website, but it isn’t all that informative. It describes what the product is meant to do, but that’s about it. No ingredient list is provided on the site. No documentation backing its rather large claims of instant results is provided either. It is also unclear if this formula is just a quick but temporary fix, used when you need a skin pick-me-up before a night out, or if the company is claiming it delivers long-lasting anti-wrinkle results instantly.That seems highly unlikely considering that the ingredients are nothing special. There is only one peptide in the whole formula, plus one natural collagen booster. The rest of the ingredients are just hydrators or conditioners. 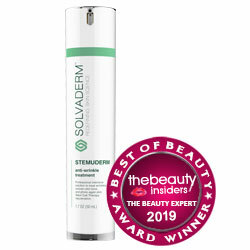 Mediderm provides a 30-day money-back guarantee on items purchased directly through its site.